Wednesday is traditionally Raptor Day here at B&B. 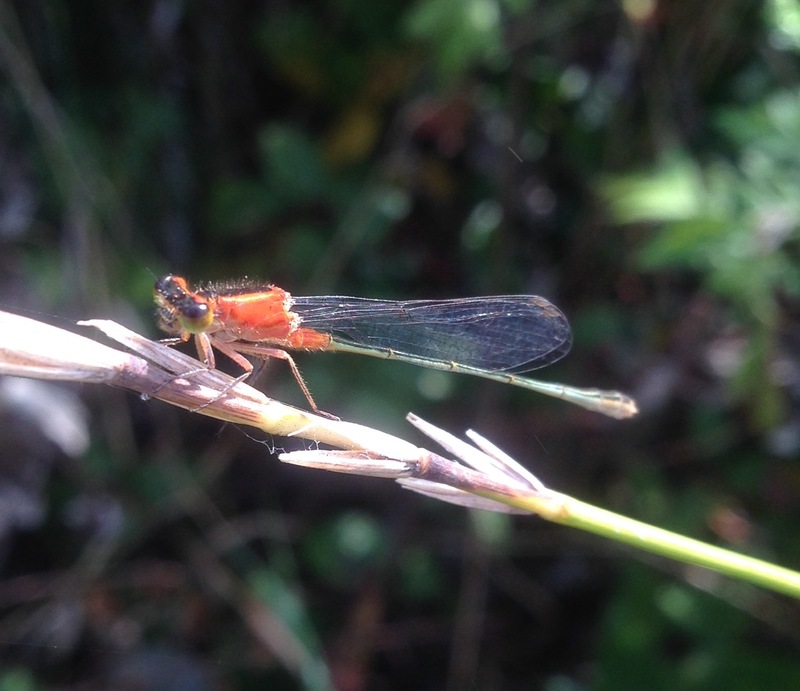 Damselflies are quite the airborne predators, so…. This one is an immature female Rambur’s Forktail (Ischnura ramburii), spotted at Jamaica Bay with numerous others of her species. I’ve seen a male away from the Bay, in Green-Wood once. Several of the Ischnura genus have orange colored immature females. Michel Edmond de Sélys Longchamps (1813-1900), a Belgian considered the founder of odontology, named this species after Jules Pierre Rambur (1801-1870), a French entomologist. I wonder how many times Kavanaugh has committed perjury so far? His opening statement yesterday was full of them. While judges can be impeached for lying, this seems unlikely as long as we put all our hopes in corporate Democrats. The long march of the right to capturing the judiciary is almost complete. For generations, these corporate, fundamentalist fascists will try to stifle the will of the majority of us. It’s going to be a hell of a fight. Clinton received over 2.8 million more votes nationwide, a margin of 2.1%, Trump won 30 states with a total of 306 electors, or 57% of the 538 available.Overall voter turnout – defined as the share of adult U.S. citizens who cast ballots – was 61.4% in 2016. Yes, the odious Senator Graham, who has become a lapdog for Trump, a complete reversal of his earlier stance, yesterday scolded that Democrats should win an election. Well, they did in 2016, only our “democracy” is fixed.